Remember when the Boston Celtics’ new era big three of Kevin Garnett, Paul Pierce and Ray Allen first assembled? Remember how the biggest questions surrounding that team pertained to Rajon Rondo and his growth, maturity and play? Years have passed since those questions, that team in particular was relevant. But the questions pertaining to Rajon Rondo have resurfaced and will more than likely remain for the rest of his career. At one point of time Rondo was regarded as the best point guard in basketball. He was a better defender than most, if not all. He was a better rebounder than every other guard. And his playmaking ability was second to none. Some would often harp on his inability to score; while others would simply imply that his scoring wasn’t required. Rondo’s overall game reminded people of Magic Johnson and Jason Kidd two first ballot Hall of Famers who led their teams without having to score. Whenever the Celtics’ games were televised Rajon Rondo would have ridiculous numbers. He had games where he posted 32pts 10reb & 15ast, 10pts 10reb & 24ast and a game where he posted 18pts 17reb & 20ast ( there were some games better than these). There wasn’t another point guard in the league who could impact the game in the ways Rondo did. Point blank period. Some thought Rondo was a legend in the making, while others viewed him as a player who was a product of his environment. After five years of proving he’s among the NBA’s elite, (4x All-Star, All NBA Team, 4x All Defensive Team, NBA Champ,) and finally taking the reigns of being the Celtics’ best player, Rondo tore his ACL amidst a career year (arguably). The Celtics’ championship window closed as well as Rondo’s quest in becoming an all-time great. With Garnett and Pierce in Brooklyn, Doc. Rivers in coaching the Clippers, Ray Allen in Miami and best friend Kendrick Perkins playing in OKC Boston was no longer familiar, no longer a place Rondo wanted to be contrary to what him, his representatives and GM Danny Ainge wanted us to believe. 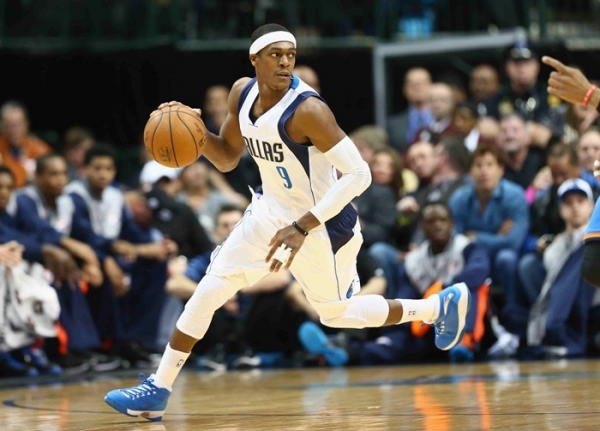 The following season (2013-14), Rondo returned to the lineup and played in the final 30 games averaging 11.7 points 5.5 rebounds and 9.8 assists. In the games he played he looked a lot like his former self skill wise, but mentally and physically he seemed a tad bit slow and uninterested. Following the season the Boston Celtics drafted PG Marcus Smart, who many thought spelled the end of Rajon Rondo’s tenure in Boston. At that point in time the team was no longer being built around Rajon. It was being built for life after Rondo. Initially the plan was for Rondo to teach, mentor and provide the younger Celtics with leadership. The problem with that was how Rondo wasn’t a leader himself. He needed a someone to babysit him; he was incapable of babysitting others. 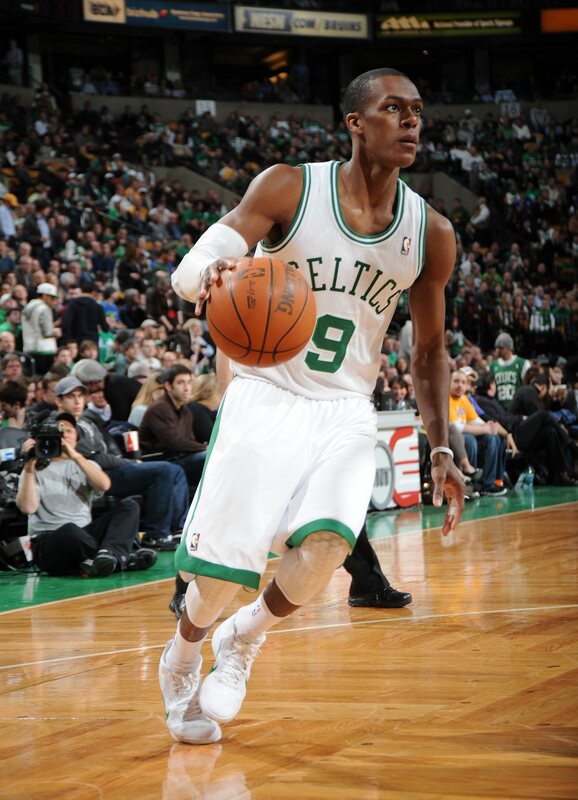 In the 22 games Rondo appeared in for the Celtics he was pedestrian at best. His defense had plummeted, his quickness wasn’t up to far, he was a liability on the offensive end, his playing time was diminished and the team did significantly better when he was on the bench. Those observations should’ve been a red flag for any team trying to trade for him; not an excuse on why a change of scenery was needed. After weeks of killing the Celtics the Mavericks traded for their cancer. ”Allegedly” the Mavericks were getting the piece that would propel to them to the top. Instead they got a piece that stagnated, rather derailed their changes of getting over the hump. 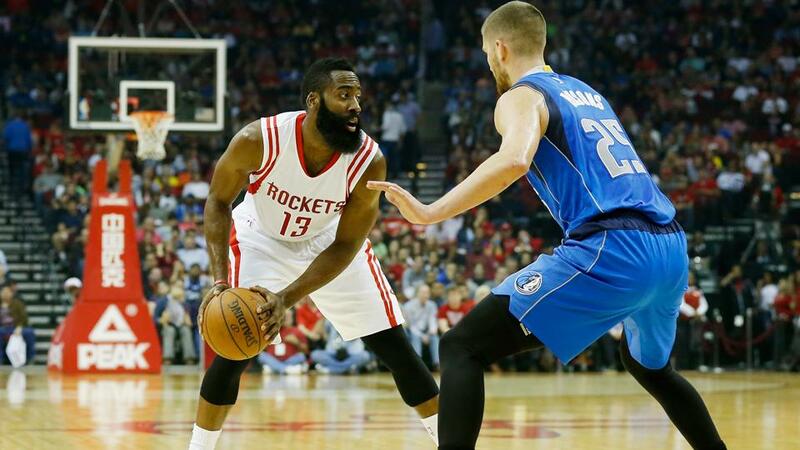 The Mavericks were a poor rebounding team and were very mediocre on the defensive end. With Rondo being a guard who excelled in those aspects the assumption was that he’d change those problems. The only thing that changed with his arrival was how great the Mavs were offensively and their chemistry. To be fair, point guards generally take a long time finding themselves when shipped to a new team. Instead of focusing on the regular season and his putrid performances there we would always elude ourselves into believing his play would rise in the playoffs like they generally would. After two playoff games Rondo pretty much quit. Like Melo in New York, Rondo checked himself out and used the injury excuse because he no longer wanted to play. Everything had to be about him. When you think about it Rondo really isn’t the player, the guy we make him out to be. For starters, Rondo isn’t a true leader. In Boston he was shielded and coaxed by guys like Pierce, Allen, Garnett and Doc.Rivers. As a rookie he had guys like Sam Cassell and P.J. Brown around. All of those guys mentioned were leaders at one point; some were often cited as great leaders. In Dallas no one outside of maybe Tyson Chandler is considered a good leader. Dirk & Monta Ellis are often thrown under the bus for their leadership skills or lack thereof. When surrounded by subpar leaders (hence another Melo similarity) Rondo’s game folds. 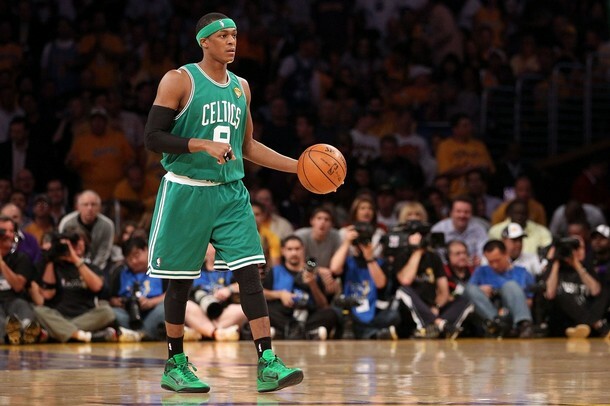 Another knock on Rondo is how he just pissed on an opportunity to compete for a championship. The Mavericks have/had enough talent on the roster to make a legitimate push for a title, but because of Rondo’s arrogance and selfishness that goal faltered. When evaluating Rondo’s play his game is a bit tedious. He’s a step slower than most of the guards at this point. He can’t shoot in a league where shooting is a necessity. And his playmaking ability isn’t as good as we once thought. 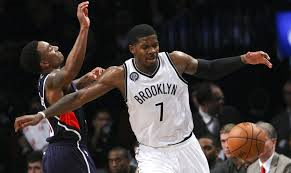 If Rondo can’t over dribble and hold the ball for an excessive amount of time his not going to be a great playmaker. In today’s game his ball stopping style (Melo reference #3) won’t fit in most if not all of today’s offenses. Honestly, the game has moved past Rajon Rondo. He’s not a top 40 player. And he can’t run a team that would be functional in the league today. Teams like the Lakers, Kings, Heat and etc should stay away. If he quit on a team that close to a championship why wouldn’t he quit on a team that’s further away? If he quit on a team that was in the rebuilding phase why wouldn’t he quit on another? Max dollars shouldn’t be thrown his way. He’s not that top level guy anymore. And he never will be again. Headcase, arrogant and selfishness are the traits of a team killer. Teams should be wary. Do you agree or disagree with this assessment of Rondo? This series will easily be the most anticipated series of the first round. 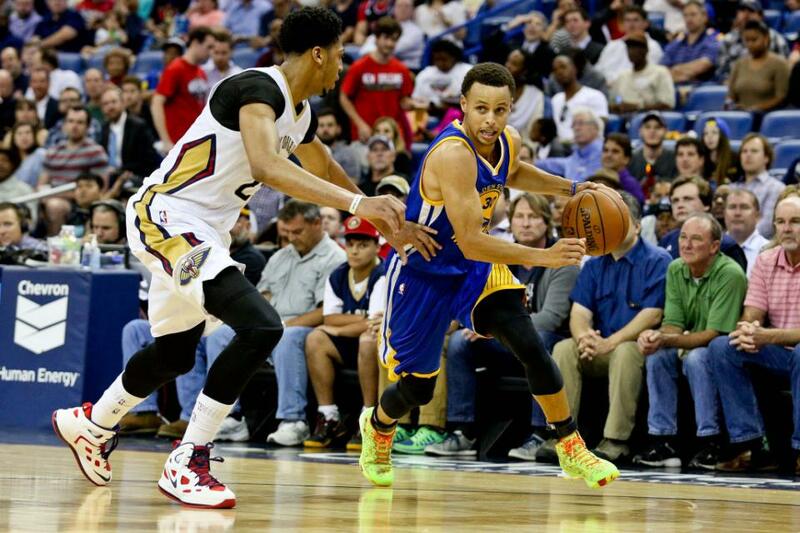 Before the season started no one saw this as a potential 1st round match-up…. And I repeat NO ONE. In this series we’ll have star power in Blake Griffin, Tony Parker, Tim Duncan and Chris Paul. We’ll have two great coaches in Doc. Rivers & Greg Popovich. We’ll also have two DPOY candidates in DeAndre Jordan and Kawhi Leonard competing in this match-up. Oh, and i didn’t even get a chance to mention all of the shooting we’ll see or the guys coming off of the bench. During the early portion of the season the Clippers were a nice team. Once Blake Griffin got injured and missed over a month of play Chris Paul elevated the Clippers to new heights. 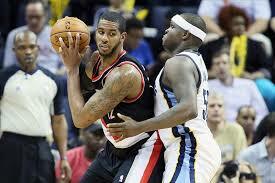 He was scoring, defending, rebounding as well as facilitating. His play during that stretch was reminiscent to his days in New Orleans. When Blake Griffin returned the Clips continued to ball and surged to the finish line winning 14 of their last 15 games. For a majority of the season the Spurs weren’t healthy. Injuries to Tony Parker and Kawhi Leonard had the team looking older and slower. After all-star weekend the Spurs switched gears and resembled a team trying to repeat as champs. They were the best team in the league over the last portion of the season. Having played four times the Spurs and Clippers split the season series 2-2. The Clippers had one 20 point victory while the rest of the games were within ten points. In the postseason the Spurs are 8-3 against Chris Paul all time. In their previous match-up the Spurs swept the Clippers. Beating the Spurs will be no short order for the Clips this time around. 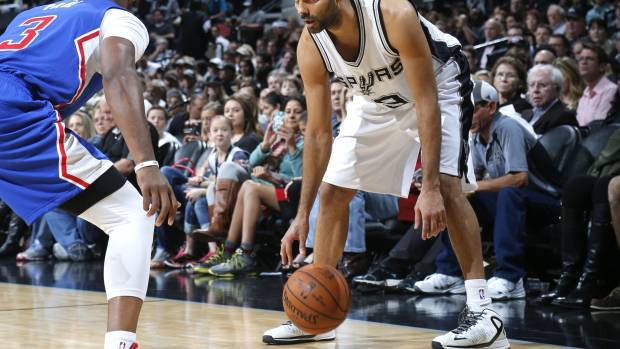 The Spurs have a plethora of shooters, guys who can defend and a lot of willing passers. Playing an up-tempo style fits right into the hands of the Spurs as well because that’s their game. A lot of things ride on this series for the Clippers as well. They won’t have to deal with a distraction in Donald Sterling like they did last year. If the Clippers lose this series Rivers’ job will be at stake, a roster split up would be pondered and Chris Paul’s legacy would be tainted more. They have to make something happen now. In this series the Clippers need to defend the three ball. If Chris Paul can lock-up Parker and Jordan continues his play on the defensive end it’ll be hard for the Spurs to generate points. If Parker is having his way, getting to his spots and distributing the ball the Clippers are going to have hell. Off the bench Crawford, Davis and Turkoglu need to be dominant. Especially Jamal Crawford. If JC isn’t on his game the Clips won’t have enough firepower. Make Jordan beat you from the freethrow line. Contain Chris Paul. Go at Blake Griffin on both ends of the court. If Duncan can take Blake off his game and Leonard can defend Paul like he does every other guard/wing the Spurs will be alright. The Spurs know how to win on the road and they own a piece of the Clippers mentally. (Doc. Rivers is already panicking. On offense the ball can’t be stagnant either. Parker needs to be able to penetrate inside and give his shooters some open and easy looks. If he’s getting to his spots and shots are falling the Spurs will cruise to the 2nd Round. Prediction Clippers beat the Spurs 4-2. It’s about time CP3 gets over the hump. The Clippers are better than ever and Chris Paul seems to be on a mission. Paul-Blake-DJ-JC will show why they’re ready to make that leap. Fun Fact: The Spurs don’t ever advance after winning the championship in the previous year. No repeating for them. In a way I find this series a tad bit ironic. Years ago LeBron’s last game as a Cav was against who? Years later his first series back in a Cavs uniform is against who? Like the Cavs, Boston has went through it’s own mini rebuilding stage. The Celtics got rid of old heads Paul Pierce, Ray Allen and Kevin Garnett, traded away Rajon Rondo & let Doc Rivers walk, replacing him with bright young coach Brad Stevens. This new Celtics team pales in comparison to the old KG lead squad from years past. They may be quicker, more athletic and younger but they aren’t as dangerous as a unit. At least not for the next few seasons. This past offseason the Cavs went from being a mediocre squad to being a contender. They brought in LeBron James, Kevin Love, Shawn Marion and few other Heat players to shape up the roster. Once starting center Anderson Varejao went down the Cavs brought in Timofey Mozgov and then swung deals to bring in the likes of Iman Shumpert, J.R. Smith and Kendrick Perkins. With pieces being juggled around the Cavs struggled early and often. From mid-March to now the Cavs have been rolling and seems like a lock to represent the East in the Finals. Both teams are going to deal with the inexperience factor. Outside of Gerald Wallace, Brandon Bass, Avery Bradley and Evan Turner no one on the Celtics roster has ample playoff experience. Starting point guard Marcus Smart is a rookie in this league and is still learning how to deal with various aspects of the game. I.Thomas, the Celtics best player, comes off the bench and he’s never played in a playoff game. Boston is in the same position as Milwaukee; young, talented and well coached but inexperienced. Three of Cleveland’s main contributors (Love, Kyrie, Thompson) have never played in a playoff game. With Boston being their opponent the Cavs will have a nice chance to groom and establish themselves as a playoff squad. If Love and Kyrie aren’t playing at a high level the Cavs won’t make it out of the East. These two teams played four times this season splitting the season series 2-2. They Celtics swept them in their final two match-ups but it doesn’t hold much weight because Cleveland rested their starters. Sorry not sorry. The Cavs just need to play to their strengths. 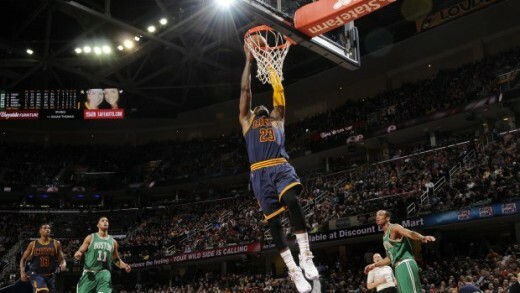 LeBron is the best player on the planet and Boston has no answer for him. If Cleveland can get easy looks and lock in defensively this series will be over quickly. Prediction Cavs beat the Celtics 4-1. A few games may come down to the wire but in the end LeBron James is the best player on the planet and has no business losing this series. Like the Bulls, Cleveland has a chance to tune up in preparation for a huge second round match-up between the two. All I’m waiting for. 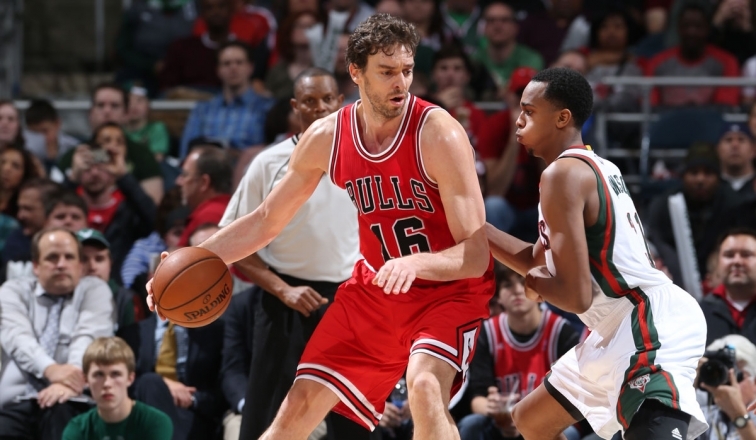 The Bulls brought in a whole lot of talent this offseason on the offensive end of the ball. 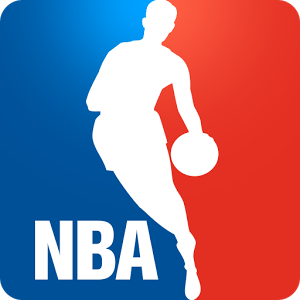 Pau Gasol (low post scorer), Aaron Brooks (scoring point guard), Nikola Mirotic (European star), and rookie Doug McDermott (shooter), all make the Bulls more potent on offense. With all of the new talent as well as the emergence of Jimmy Butler and the defensive prowess of Joakim Noah, Derrick Rose can finally pick and choose his spots without having to forcefully do everything on his own. Milwaukee has been a bit of a surprise this season. Jason Kidd has coached this team up without having rookie Jabari Parker or center Larry Sanders, two players who were supposed to be vital in this teams growth and success. From top to bottom this team has little to no playoff of experience which usually spells doom. Both teams have top 10 defenses and offense that can be lackluster for long stretches. With these two teams being division rivals and right up the road from each other expect a nice old fashioned, physical, defensive oriented series. The Bulls have defensive ace Thibs as head coach while the Bucks have the length and speed to disrupt the passing lanes. Very intriguing right? The Bulls won the season series 3-1 with all but one game being fairly close. Neither team scored 100 points in any of those games. The Bulls have entirely too much talent to let this series get away from them. As long as they control the ball and force turnovers instead of coughing up the rock themselves the Bulls should win this series fairly easily. To make this series interesting the Bucks have to get into the head of D.Rose and force him to over think and force things. If they can contain the paint and force turnovers the Bucks could potentially scare Chicago… Jason Kidd is going to need to coach the series of his life to be completely honest. This is what we’ve all been dying to see, The Cleveland Cavaliers play a playoff game! There are so many intriguing storylines heading into these playoffs but none are more interesting than the Cavs big 3 starting their first championship journey together. Kyrie Irving and Kevin Love will be making their very first playoff appearances and the world is wondering how they will handle it. Lebron James has a very tall task ahead of him in this postseason by having to inspire and elevate his teammates to another level. Their opponents however are to be respected, as the young and hungry Boston Celtics look ready to relish in their first playoff experience as a team. Celtics head coach Brad Stevens has done a phenomenal job, getting 100% effort out of his players on a nightly basis. With young studs Isaiah Thomas, Evan Turner, and Avery Bradley the Celtics will make things difficult on the Cavs at times. In terms of matchups Cleveland dominates almost all except the reserves. I expect the Cavs to run all over the Celtics for the majority of the series, and a few will be close, but the rest…blowouts. However, I do see Boston winning a game at home with help from their rabid fans. Other than that I see pure dominantion on Cleveland’s part.